In the world of POP displays, standing out from the crowd remains a challenge. 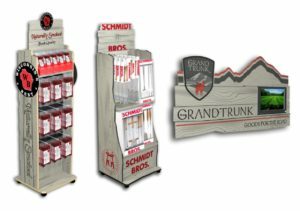 Many wholesalers would love to showcase their products on wooden POP displays display because they offer a certain authenticity and allow you to capitalize on the trend toward “all things natural”. The issue is that, natural woods tend to be more costly and are often not economically viable, particularly when dealing with products that have a lower price point. It is difficult to justify paying $400 for a display that only holds $200 worth of product, and retailers are unlikely to bear the cost, making in-store placement more difficult. So what’s the solution? Well, Avante Displays is now offering a brand new material option for permanent point of purchase displays. This new weathered, rustic, barn-wood style, shown in the images below, is a very popular look for the outdoor and natural product markets. The reclaimed wood look also really complements any brand with an environmentally friendly message. Cost effective – The design and manufacturing costs of a value engineered display should be proportional the total $ value of the products being showcased – e.g. it is counter-productive to have a $400 display showcasing $200 worth of merchandise. 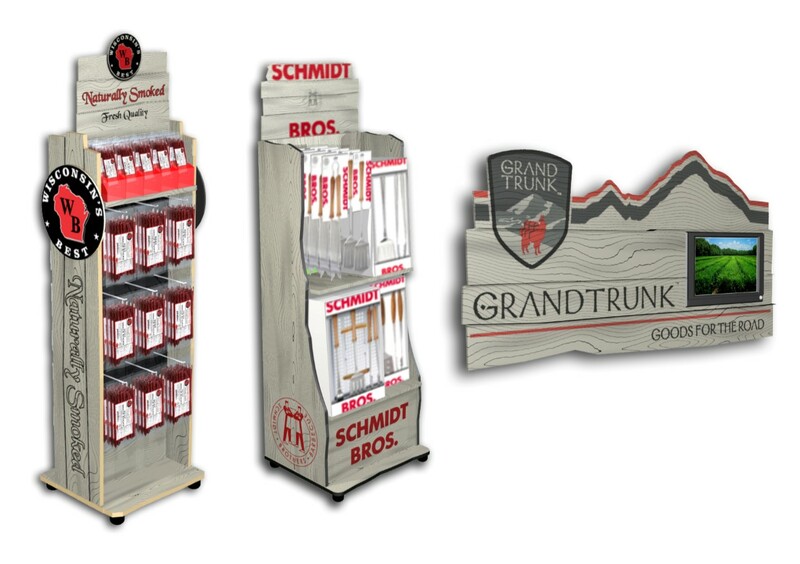 Avante has been designing and manufacturing custom permanent POP displays for more than 25 years. Over that time we have honed our skills and processes in order to deliver outstanding displays at the most cost effective price point. Most of our customers have experienced significant increases in sales as a direct result of their investment in our point of purchase displays.